1 - Shelby Gem Factory, (616) 861-2165. 2 - Lewis Farm Market, (231) 861-5730. 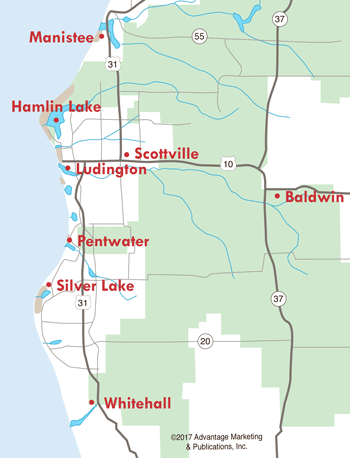 3 - Silver Creek RV Resort, (231) 873-9200. 5 - Parrot's Landing, (231) 873-8400. Decades of prevailing westerly Lake Michigan winds transformed a ridge of dunes overlooking Silver Lake into 2,000 acres of spectacular, moving (living) sand dunes. For generations, the nationally known Silver Lake Sand Dunes have provided families with exciting memories of driving, riding and walking on these spectacular mountains of desert-like sand! The area offers numerous opportunities for exciting outdoor activities. 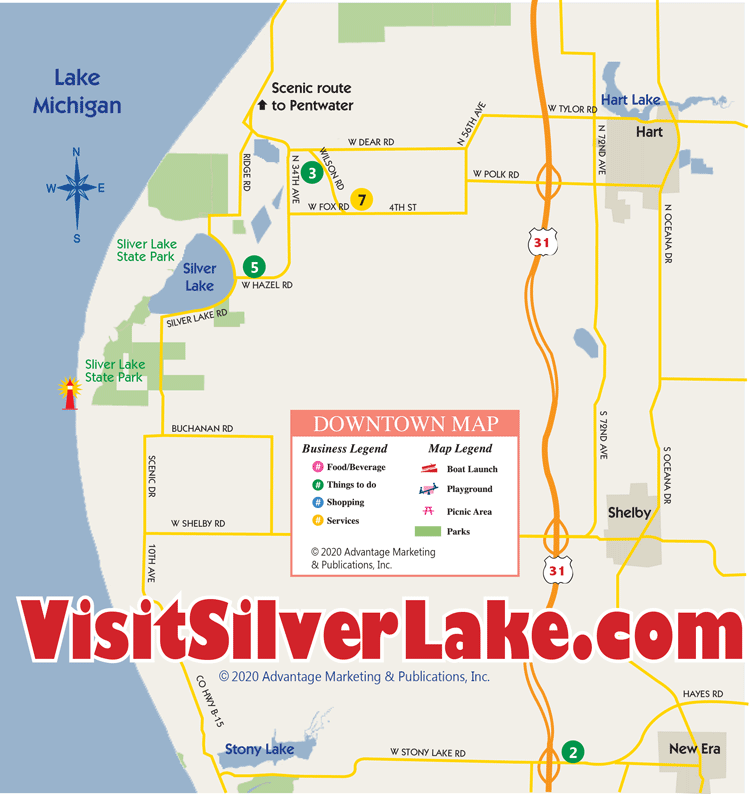 Dune rides, jeep tours, water sport rentals, golf, horseback riding, miniature golf, bumper boats and a go-kart track are just a few of the attractions that are available at Silver Lake.